The province of Antipolo is a popular retreat since it’s only 1-2 hours away from Manila and it has a lot of beautiful resorts, both public and private. A lot of these resorts are located in lush settings, making it perfect for nature trippers, or have overlooking views of Metro Manila. 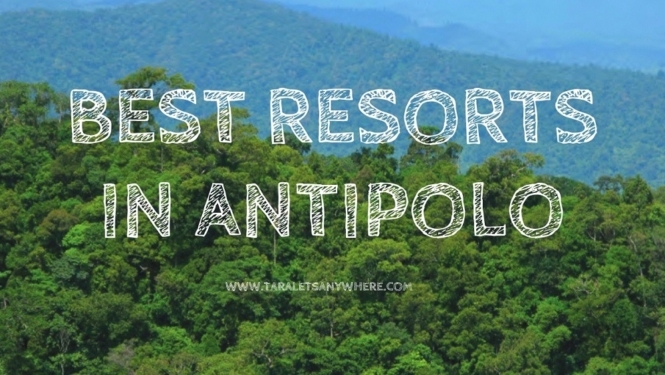 Here we’ve listed the best resorts in Antipolo, Rizal, for your quick getaway. Loreland Farm Resort is one of the top resorts in Antipolo. This 5-hectare property is ideal for a fun and relaxing stay. Recreational facilities inside the resort include a kiddie pool, aplaya pool, family fun park, and 3 other outdoor pools. It also has function rooms for meetings and events. Loreland Farm Resort is located to other nearby attractions in Antipolo, namely, Camp Tipolo Adventureland, Pinto Art Museum, and Cathedral National Shrine. For accommodations, there are rooms, dorms, villas, and casas to choose from. Luljetta’s Hanging Gardens and Spa is one of the most beautiful resorts in the country. It’s a mountain resort with a panoramic view of the city. It has various amenities for relaxation, such as pools including one infinity pool, hydro-massage pool, fish spas, sauna, and jacuzzi. It also has rooms where you can watch movies, play traditional Filipino games, and more. A lot of guests avail of day tour packages to Luljetta’s, but for those who want to stay overnight, fully airconditioned rooms are also available. Mount Purro Nature Reserve is a family-run eco-park, located in the foothills of the Sierra Madre mountain range. It’s a popular option for those who love nature, adventure, and cultural immersion. Mount Purro Nature Reserve has a lot of facilities. 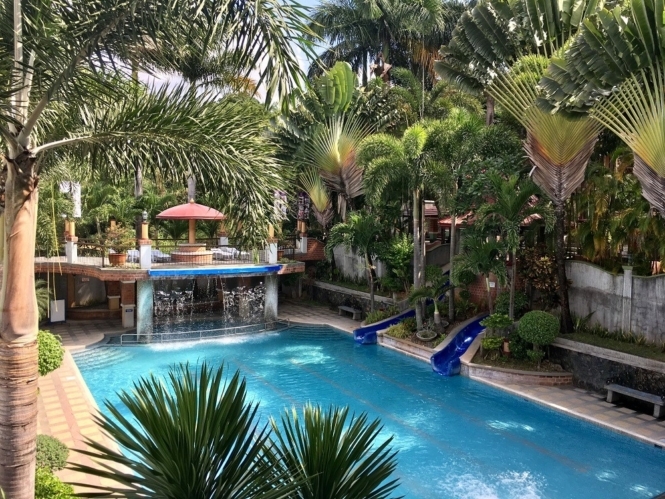 For activities, it has a swimming pool with a view of Mount Purro, spa area, bonfire areas, enclosed hiking trail, mini-zipline, game room, and a nature-style playground. It also offers tours such as hiking and cultural trip with local tribes. 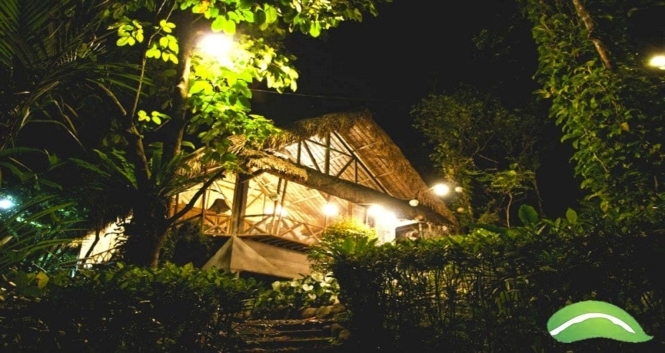 This resort has farm-style accommodations, including tents, hostel, casitas, bamboo cabins, cottages, and suite homes. Rooms start at P900 per person for a hostel (shared accommodation) or P4000 for a whole casita, good for 2-4 people. Cristina Villas Mountain Resort is an ideal haven for relaxation. 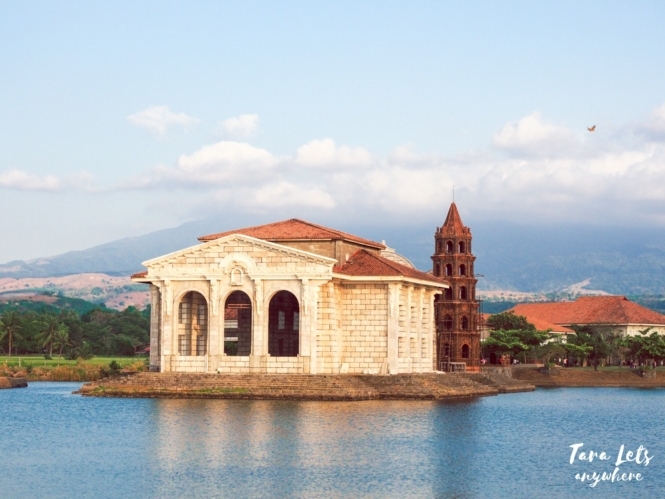 The entire resort comprises 2.5 hectares with an overlooking view of metropolis, as well as Bataan and Laguna de Bay. The resort has 5 pools: mermaid pool, lower villa pool, waterpark and toddler pool, upper big pool, and infinity pool. It also has a casual restaurant and bar, gym and spa area, music room, sports court and zipline. For overnight accommodations, there are different types of airconditioned rooms to choose from. LeBlanc Hotel and Resort is a modern roadside hotel which is ideal for a quick getaway from Manila. It has an outdoor pool and a restaurant that serves grill-style cuisine with a regional twist. For those who are looking for private event spaces, the resort can be rented for exclusive use, as well as the function rooms, sky tent, and sky garden. For regular guests, deluxe rooms and suites are available. Cloud 9 is a highly recommended events venue as well as recreational resort for the summer. It has a swimming pool, sports facilities (billiards, basketball, gym), karaoke lounge, an art gallery and its crowd-favorite 360 View Deck with a hanging bridge. It also has a restaurant that serves traditional Filipino cuisine. Accommodation is very affordable and includes dorms, rooms, and penthouses. 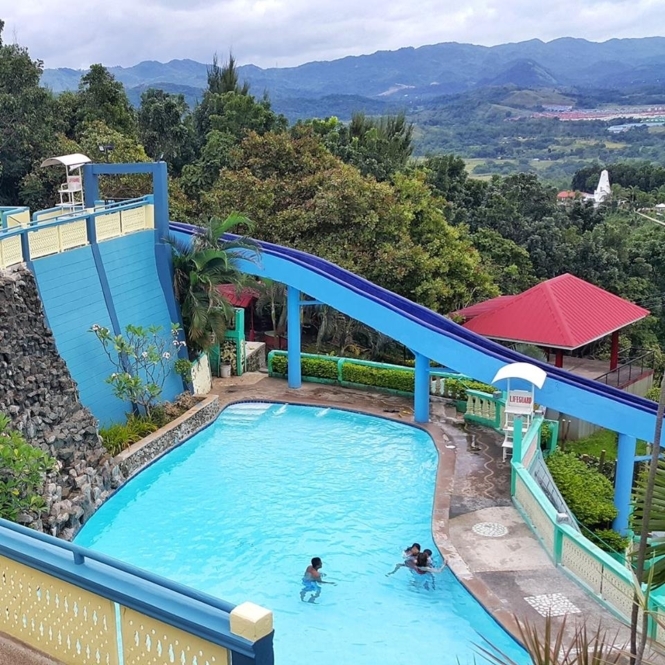 Antipolo Star Resort is a fun & lively resort with various recreational amenities and overlooking views of the rice fields of Teresa and Sierra Madre mountain range. It has an outdoor saltwater pool and a kid’s complex with waterslides and games. Only day tours and night tours are allowed. Accommodations include various types of cottages and houses. Rates start at P1500 for a native kubo, good for 10 people. 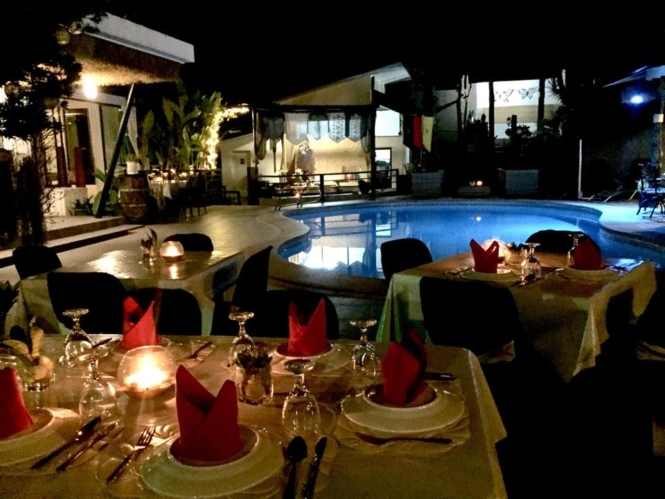 Date and Dine Resort is a cozy resort located inside a subdivision in Antipolo. It has an outdoor pool, gym, restaurant that serves international cuisine and poolside bar, and massage and salon services. Each room in Date and Dine Resort has a funky theme. You can choose from Rustic Room, Safari Room, Zen Room, and Indian Room. 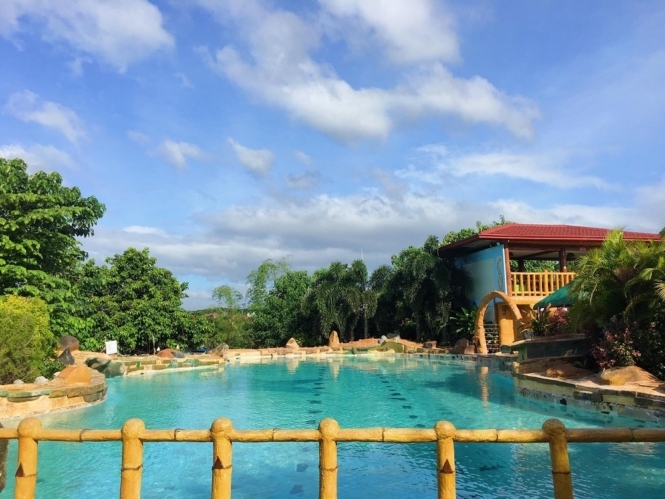 Bosay Resort is a family-friendly resort spanning 3 hectares of mountainous terrain in Antipolo. Its name originated from the waray word “bosay”, which means waterfalls. 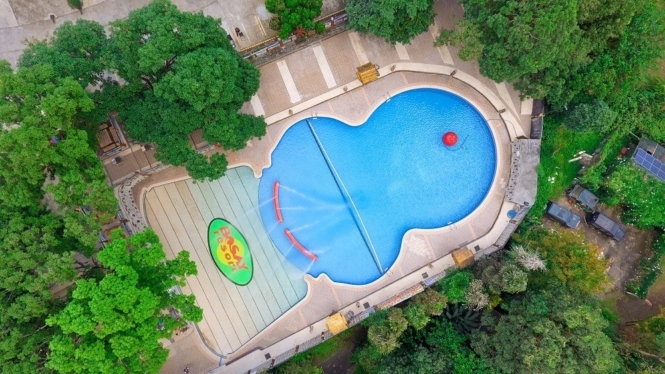 It has different kinds of pool, which is perfect for both kids and adults: turtle pool, pool with slide, private pool with jacuzzi, disco pool, therapy pool, regular kiddie pool and kiddie pool with bubbles, as well as infinity pool. It also has a stormwave pool with sea water. Bosay Resort also has an in-house restaurant. Cottages are available for day trippers. For overnight stays, there are airconditioned, furnished rooms to choose from. 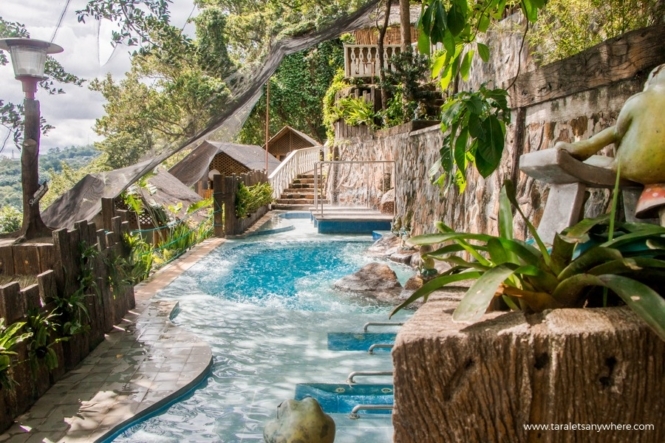 Boso-Boso Highlands Resort is a modest resort in a 10-hectare property facing the scenic Sierra Madre mountain range. The resort features elevated swimming pools, including kiddie pools with waterslides. It also caters to other activities with an open ground for team building, bastketball and mini-soccer fields, and a playground for kids. Guests can stay in cottages and villas. The resort also has a convention hall for events and gatherings. Do you have other recommendations on best resorts in Antipolo, Rizal? Let us know in the comments below!